IF YOU HAVE A CONCRETE PROJECT AND ARE LOOKING FOR A TEAM OF QUALITY PROFESSIONALS, YOU HAVE COME TO THE RIGHT PLACE. OUR TEAM HAS OVER 50 YEARS OF COMBINED EXPERIENCE IN COMMERCIAL AND RESIDENTIAL CONCRETE. 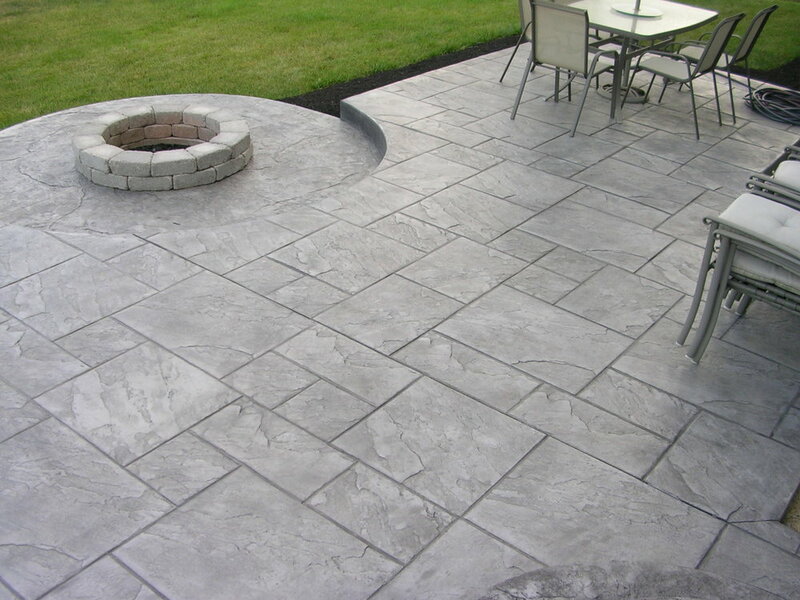 OUR GOAL IS TO LEAVE YOU SATISFIED WITH OUR BEAUTIFULLY DETAILED CONCRETE WORK, ON TIME AND ON BUDGET. Concrete has come a long way... With stamping and dying, resinous and epoxy finishes, concrete can now mimic almost any material. FROM ROCK STAR TO CONCRETE CONTRACTOR. Joe Pettinato began working in the concrete industry in 1993, driving ready-mix trucks and learning the do’s and don’ts of the trade by delivering to hundreds of contractors. A musical performing artist by night, Joe signed a major record label contract in 2000. His life-long dream of rock stardom had become a reality. Within a three year period his band had produced two albums and toured the country multiple times. The music industry had treated him well. In 2003, the record deal had run its course, signaling for Joe to begin a new chapter in his life. He decided to return to the industry that he loved and helped forge his tenacious work ethic. Rock Star Concrete was born with the purchase of two wheelbarrows and a pickup truck. Steadily, the company started gaining recognition and growing at a healthy clip. Over a decade & a half later, Rock Star Concrete and its employees have built thousands of advantageous relationships with contractors all across the United States. Joe Pettinato’s "make it happen" attitude permeates through the entire Rock Star Concrete workforce. We are agile, adaptable, passionate, and willing to go the extra mile to achieve success in our work while providing quality service to our customers. © Rock Star Concrete, 2016. All Rights Reserved.